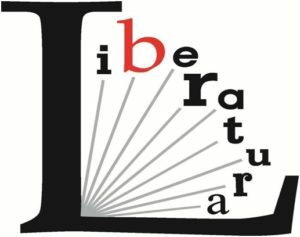 Liberature is a kind of literature in which text and its material form constitute an organic whole in accordance with the authors intention. The name of the genre was proposed in 1999 by Polish poet Zenon Fajfer.“Liberatura” is also the name of an imprint of Korporacja Ha!art Publishing House, an editorial project of Katarzyna Bazarnik and Zenon Fajfer. Each title published in the imprint has its own unique shape which is dictated by the requirements of its authorially shaped text. The books trespass editorial conventions and often have unconventional shapes. Described as “the most astonishing publishing series in Poland,” it has attracted international attention and been presented at literary festivals, book fairs and conferences all over the world (the USA: New York City, Philadelphia, Chicago, Oakland; the UK, Ireland, France, Germany, Italy, Romania, Bulgaria; Asia: Japan, Taiwan). This publishing series, launched in 2003, counts 21 titles, includes many important translations, such as S. Mallarmé’sThe Throw of the Dice Will Never Abolish Chance, R. Queneau’s One Hundred Thousand Billion Poems, G. Perec’sLife User’s Manual, H. Müller’s box of poetic collages Der WächternimmtseinenKamm, and J. Joyce’s Finnegans Wake. It also features a bilingual edition of Z. Fajfer’s poetic volume dwadzieściajedenliter/ten letters. The talk will present the idea of liberature, and the specificities of translating such multimodal works of literature. It will focus on how material constraints of the originals influence the language in these translations. Dr Katarzyna Bazarnik is assistant professor in the Institute of English Studies at the Jagiellonian University in Krakow, translator, curator of Liberature Reading Room. Together with Zenon Fajfer she wrote Oka-leczenie (Mute-I-Late 2000) and (O)patrzenie (Ga(u)ze 2003). They also co-edit “Liberatura” series of Ha!art Publishing House. Author of Joyce and Liberature (2011) and Liberature. A Book-bound Genre (2016), editor of volumes of essays, including James Joyce and After. Writer and Time (2010), Incarnations of Textual Materiality. From Modernism to Liberature (2014) and monograph issues of a translation journal on J. Joyce and B.S. Johnson. She has translated Fajfer’s Liberature or Total Literature. Collected Essays 1999-2009, and his multimedia poetry volume dwadzieścia jeden liter/ten letters (2010). Her translation of B.S Johnson’s The Unfortunates was awarded at the Wrocław Good Books Fair in 2008.